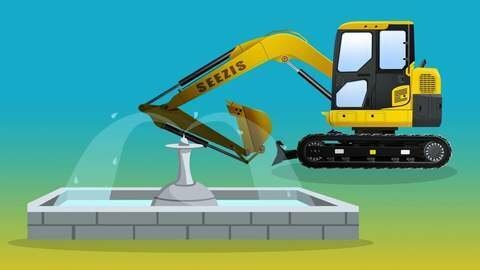 You won’t have to convince your kid to sit down to watch this excavator video, because it uses cartoons to show and teach kids about excavators. There may be other excavator videos online, but there are no other excavator cartoons like these silly and educational ones. Kids will learn that an excavator is an earth mover. Excavators are pretty much big diggers. They will watch how excavators move massive amounts of dirt. This video will show how they do their part on the construction site alongside a crane, truck, and garbage truck. Nowhere else online is this information made available on a level that kids can understand, which will make them excited to watch and learn even more about machinery. Seezis is the only place to catch cartoons like these!